Relax for christmas and festive season. Christmas is a time to be merry, but for some its a particularly stressful time of year, so any form of relaxation is beneficial. 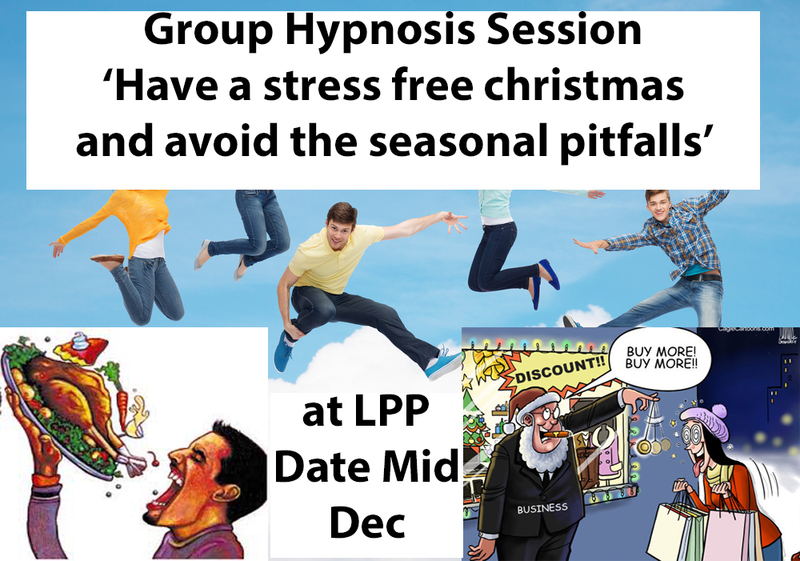 Many people find that over-eating or drinking is an issue at this time of year, hypnosis is a great way to keep on top of eating/drinking issues. This sounds like something I may have to try for next year….the past few years during the holidays have been…..stressful, to say the least. Extended family and all of that.